This luxury, moisture rich night cream is clinically proven to help increase oxygen levels in the skin. Apply at night after cleansing. 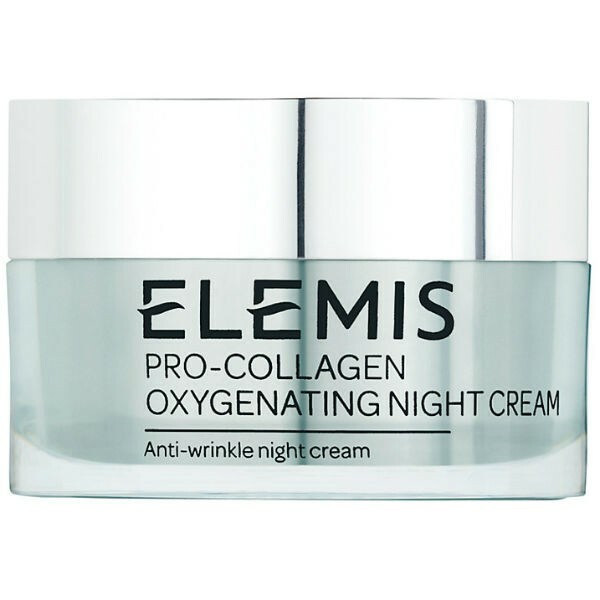 For maximum anti-ageing results, use in conjunction with other products in the Elemis Pro-Collagen range. Suitable for all skin types especially dry and ageing. The peak detoxing times for the body are between 12am and 12pm, so the skin's regeneration process is at its optimum during the hours of sleep. Developed with the revolutionary Padiana Pavonica, this luxury, moisture rich night cream is clinically proven to help increase oxygen levels in the skin and assist the skin's natural regeneration process. After 28 days usage, the skin's oxygen levels are increased by up to 41%*, to help accelerate dermal respiration.